Much of twentieth-century design was animated by the creative tension of its essential duality: is design an art or a science? 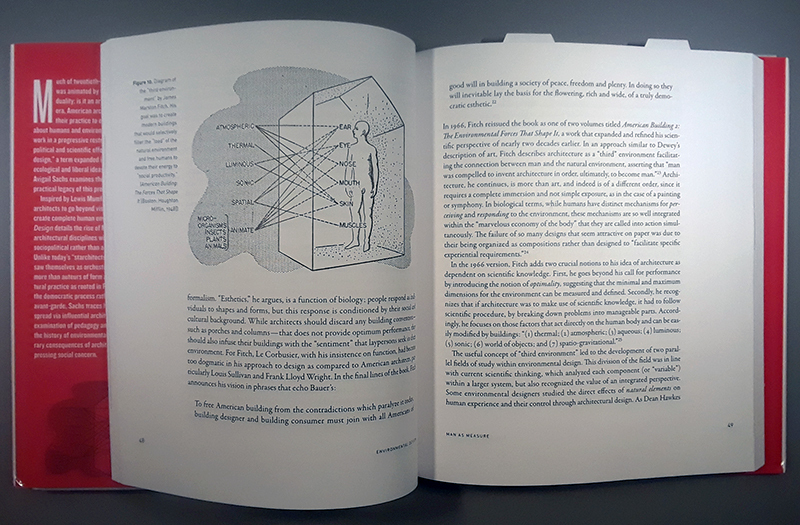 In the postwar era, American architects sought to calibrate architectural practice to evolving scientific knowledge about humans and environments, thus elevating the discipline’s stature and enmeshing their work in a progressive restructuring of society. This political and scientific effort was called "environmental design," a term expanded in the 1960s to include ecological and liberal ideas. In her expansive new study, Avigail Sachs examines the theoretical scaffolding and practical legacy of this professional effort. 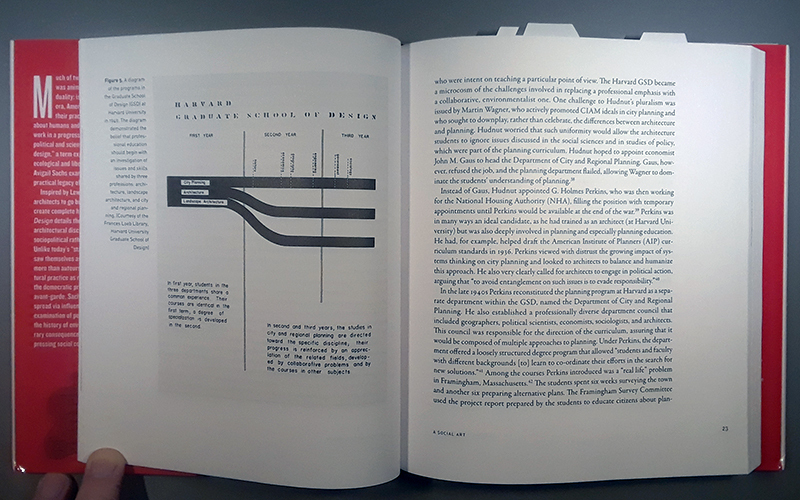 Inspired by Lewis Mumford’s 1932 challenge enjoining architects to go beyond visual experimentation and create complete human environments, Environmental Design details the rise of modernist ideas in the architectural disciplines within the novel context of sociopolitical rather than aesthetic responsibilities. Unlike today’s "starchitects," environmental designers saw themselves as orchestrators of decision making more than auteurs of form and style. Viewing architectural practice as rooted in Progressive Era politics and the democratic process rather than the European avant-garde, Sachs plots how these social concepts spread via influential architecture schools. 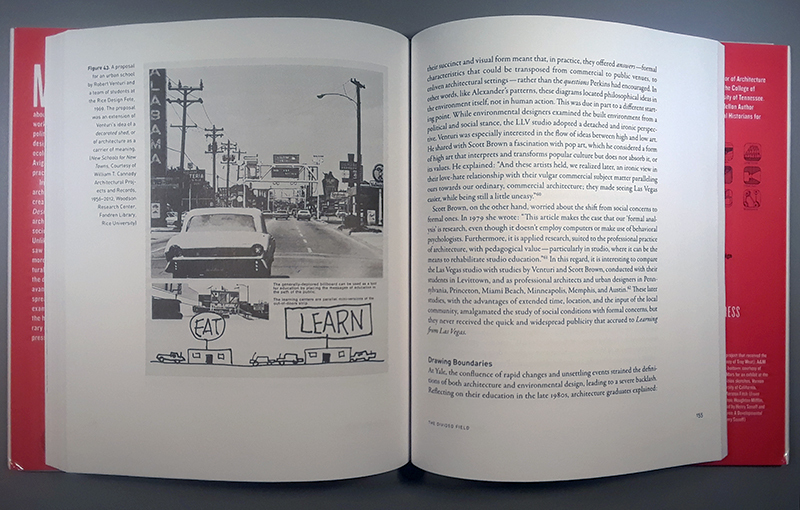 This rich examination of pedagogy and practice is a map to both the history of environmental design and the contemporary consequences of architecture understood as a pressing social concern. When I attended undergraduate architecture school at Kansas State University in the early 1990s, I thought the situation was unique: two years of environmental design followed by three years of architecture. The two years of environmental design consisted of design studios in architecture, interiors, and landscape architecture and history classes; at the same time we got science, math, writing, and public speaking out of the way to focus on the degree program we applied to (architecture, interiors, or landscape architecture) for the last three years. The 2/3 program, as we called it, changed one year after me to 1/4, meaning less environmental design and more specialized degree classes. Yet I appreciated the 2/3 model, as I liked being exposed to the various disciplines and in that time switched from landscape architecture to architecture as my degree program. 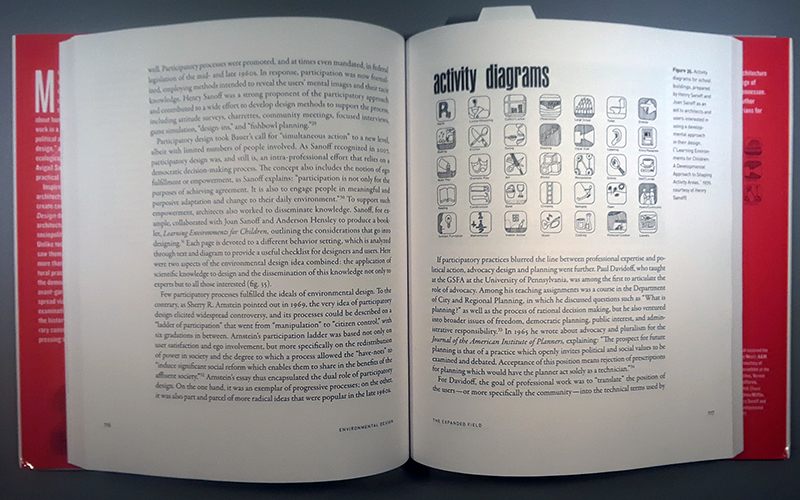 Nevertheless, environmental design infused the whole degree program (and still does, per the current curriculum; PDF link), with classes on environmental systems and environment and behavior in the last three years – classes that emphasized a building's role in nature and the experience of people within buildings. While I understood environmental design from my experience in school, I had no clue about its history: how did it come about and develop as a curriculum in architecture schools? That story is revealed by Avigail Sachs's great Environmental Design. She traces it back to Lewis Mumford's essay, "Housing," in the catalog to MoMA's International Style show in 1932, when he "issued a challenge to architects in the United States, calling on them to use architecture to create complete environments for humans," per Sachs's introduction. What follows are the teachings and writings of architects heavily involved in academia, such as Catherine Bauer, William Wurster, Richard Neutra, James Marston Fitch, and Christopher Alexander. 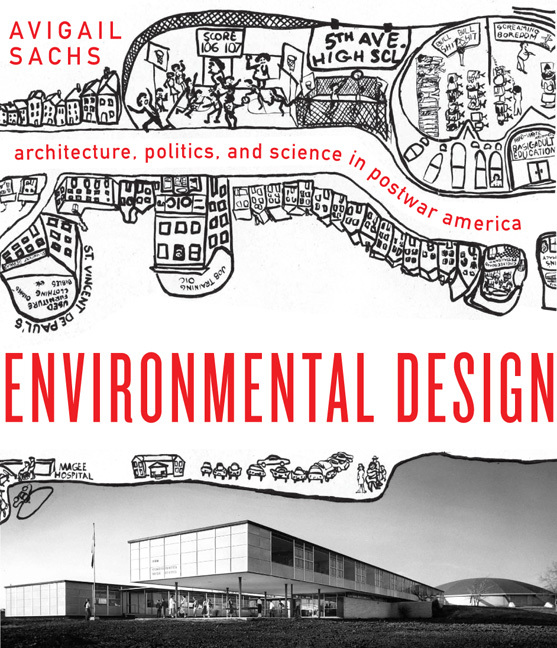 The book traces the rise and fall of environmental design, as degree programs were built around it but then pushed out of academia by figures who wanted to maintain the status of "architects" and not have them broaden their scope as "environmental designers." By the time I started at KSU in 1991, environmental design was well on the way out, meaning the education I received was unique after all. That kind of education is as important now as then and before, with the crisis of climate change calling for designers skilled in creating "complete environments for humans." Avigail Sachs is Assistant Professor of Architecture and Landscape History and Theory in the College of Architecture and Design at the University of Tennessee.